Produced for the first time since 1978, this smashing Marvel Incredible Hulk 1:8 Scale Model Kit returns after more than 30 years of being off of shelves! An introductory kit that's perfect for young or first-time modelers at skill level 1, this Incredible Hulk Model Kit requires no glue or paint, and is made of plastic pieces that snap together with ease! 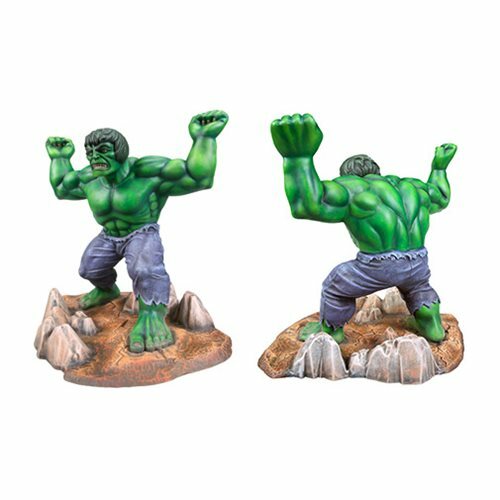 Complete with new box art, this excellent model kit looks exactly like the classic lumber Hulk from Marvel's Incredible Hulk comic books, and even comes with alternative fist and hand options to allow the Hulk to hold objects overhead! Buy yours today! Ages 8 and up.